I made this cake for my neice's birthday. Both layers are strawberry cake with buttercream filling. It's covered in marshmallow fondant with buttercream underneath. 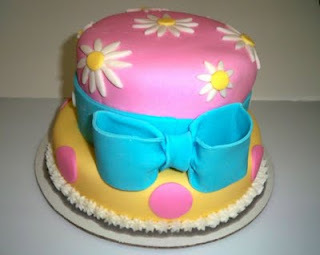 Bow and decorations are also marshmallow fondant.